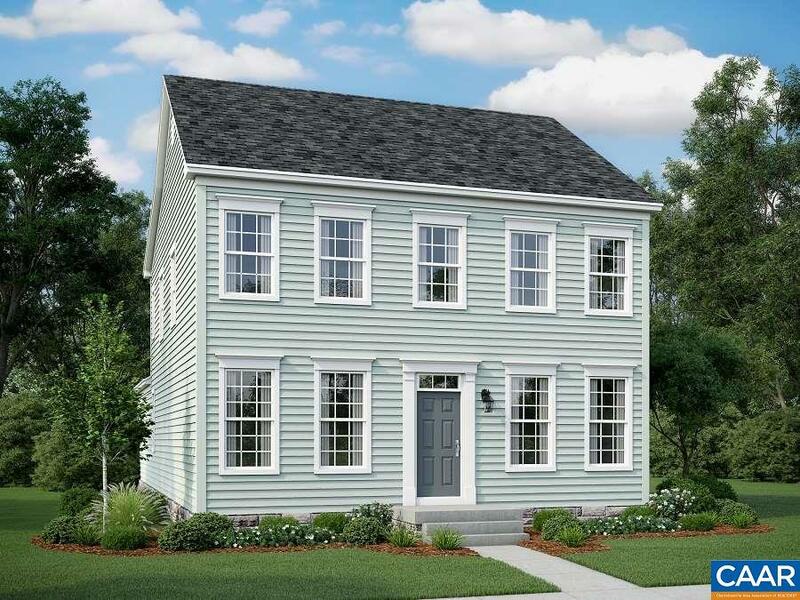 New Construction TO-BE-BUILT Harrison plan 2,063 finished sq. ft. on full basement with optional rec room, full bath and 5th bedroom. Dining room/flex room and study. Rear 2 car garage. Hardwood foyer. Tile surrounds in all baths. Pantry, 42" maple cabinets, granite, SS appliances. 9 foot ceilings, and cased windows. Mud room. 15 SEER HVAC, Hybrid H2O Heater, and programmable thermostat. Spring Creek features a top ranked golf course, 24-hour gated security, clubhouse w/bar & restaurant, sports club with a pool, fitness center, tennis, basketball miles of walking trails. Only 15 minutes to C'ville and 35 min to Short Pump and the Richmond area. Free finished rec room with use of sellers preferred lender and title company.